Michael Brown was born on 3rd August 1973 in Washington, D.C., USA, and as Michael Ealy is known as an actor, the winner of Black Reel Award as well as African-American Film Critics Association Award. In addition to this, he is a nominee for the Golden Globe Award, NAACP Image Award and Teen Choice Award. Michael Ealy has been accumulating his net worth working in the entertainment industry since the late 1990’s. Is this actor rich? It has been estimated that currently Michael Ealy’s net worth is as much as $3 million. The main source of his wealth is acting. Having in mind that his net worth was $1.5 million in 2011 it might be concluded that the life of Michael is financially stable, as calculations have established that he earns over $360,000 per year. 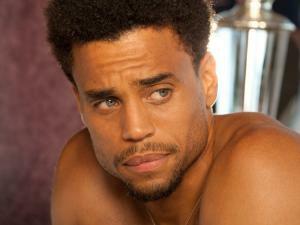 Michael Ealy grew up in Silver Spring, Maryland. He studied at Springbrook High School and the University of Maryland, graduating with a BA in English. The beginning of his career was in roles created on the off-Broadway stage. Ealy debuted on the big screen after landing a role in the romantic comedy film “Kissing Jessica Stein” (2001) directed by Charles Herman-Wurmfeld. Subsequently Michael has starred in the feature films directed by Tim Story “Barbershop” (2002), “Think Like a Man” (2012) and “Think Like a Man Too” (2014). In addition to these, he has starred in the main cast of films including “Barbershop 2: Back in Business” (2004) directed by Kevin Rodney Sullivan, the award-winning “Their Eyes Were Watching God” (2005) directed by Darnell Martin, “Miracle at St. Anna” (2008) directed by Spike Lee, “Seven Pounds” (2008) directed by Gabriele Muccino, “Takers” (2010) directed by John Luessenhop, “Underworld: Awakening” (2012) directed by Måns Mårlind and Björn Stein, “Unconditional” (2012) directed and written by Brent McCorkle, “About Last Night” (2014) directed by Steve Pink. Undoubtedly, all these roles have added much to the net worth as well as the popularity of Michael Ealy. Currently, he is working on the upcoming film “The Perfect Guy” directed by David M. Rosenthal. Furthermore, Michael Ealy has increased his net worth while creating various roles on television. Ealy debuted on television appearing in an episode of the television series “ER” (2002). Later, he landed main roles in the series “Sleeper Cell” (2005–2006) and “Almost Human” (2013–2014). He made appearances in the television series “Flash Forward” (2009–2010), “The People Speak” (2009), “The Good Wife” (2010), “Californication” (2011), “WWE Raw” (2012) and others. Currently, he might be seen in the drama series created by Kevin Williamson “The Following” (2015–present). Further, Michael Ealy has added to his net worth by appearing in music videos. He is seen on the videos of Mariah Carey “Get Your Number” (2005), Beyonce Knowles “Halo” (2009) and John Legend featuring Ludacris “Tonight” (2012). Covering his personal life, Michael is married to Khatira Rafiqzada. The wedding ceremony was held in 2012, and in 2014 they became parents to a baby boy.